Since 1957, if you had military service earnings for active duty (including active duty for training), you paid Social Security taxes on those earnings. Since 1988, inactive duty service in the Armed Forces reserves (such as weekend drills) has also been covered by Social Security. Special extra earnings credits are granted for periods of active duty or active duty for training. 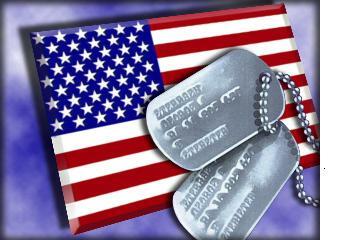 Special extra earnings credits are not granted for inactive duty training. From 1957 through 1967, we will add the extra credits to your record when you apply for Social Security benefits. From 1968 through 2001, you do not need to do anything to receive these extra credits. The credits were automatically added to your record. After 2001, there are no special extra earnings credits for military service. You are credited with $300 in additional earnings for each calendar quarter in which you received active duty basic pay. For every $300 in active duty basic pay, you are credited with an additional $100 in earnings up to a maximum of $1,200 a year. If you enlisted after September 7, 1980, and didn't complete at least 24 months of active duty or your full tour, you may not be able to receive the additional earnings. Click here for details. We have also linked this site to Pleural Mesothelioma. Some veterans have been exposed to asbestos and there are presumptive conditions linked to that exposure. We were recently contacted by Rachel Gilner, Veteran Liaison for Pleural Mesothelioma, and are glad to be working with her on this awareness mission. Click here for more information about Pleural Mesothelioma. Click here to visit the Veteran's Corner website. Click here to visit the Department of Veterans Affairs website. Click here for more information on the Post 9/11 G.I. Bill. Click here for more information about the Military Buy Back Program. Click here for some useful VA websites. We'll call this our Veteran's Resource Page. Click here to read the Executive Order signed by President Obama regarding Employment of Veterans in the Federal Government. Click here to calculate your retirement for the guard or reserves.